Flying from winter to summer on Garuda's A330. Originally this flight was supposed to be delayed for about an hour and a half. However, Garuda made a ship-change from A330-300 to A330-200 for the inbound flight without notice and eventually my flight departed just 30 minutes or so late. Their operation is still a bit unpredictable, but I felt this was a sign of their effort to be an excellent airline as a new member of SkyTeam. 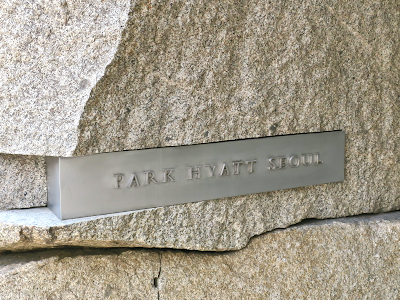 And the quality of their cabin service is clearly stated on this plaque. Their Indonesian meals are pretty good, too. 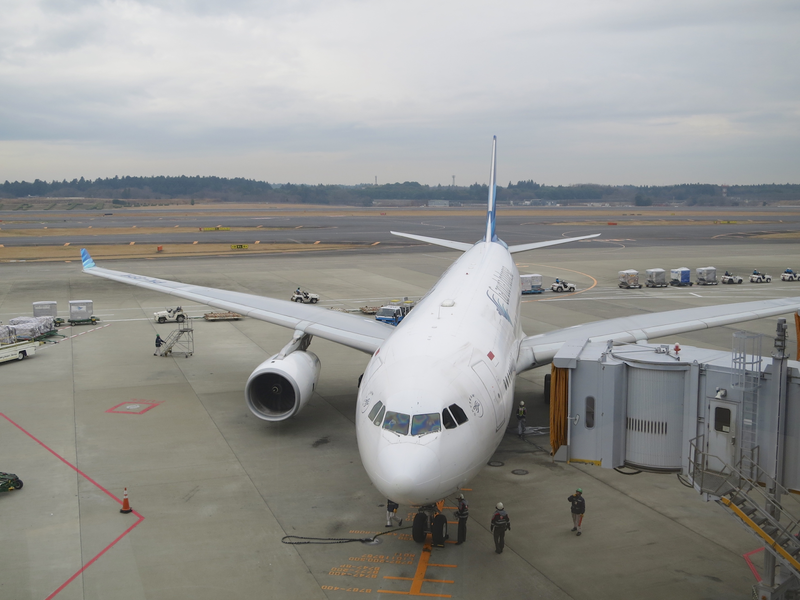 Garuda Indonesia A330-200 NRT-DPS. The 620th flight in my lifetime. Team dinner at Roppongi Nouen (nouen means farm). This restaurant located in the back streets of Roppongi serves veggies and ingredients from innovative farmers across Japan and supports a new model of relationships between producers and markets. The architect who renovated the interior of this place and designed the outside farm part is Nishida-san, a member of Ishinomaki 2.0. 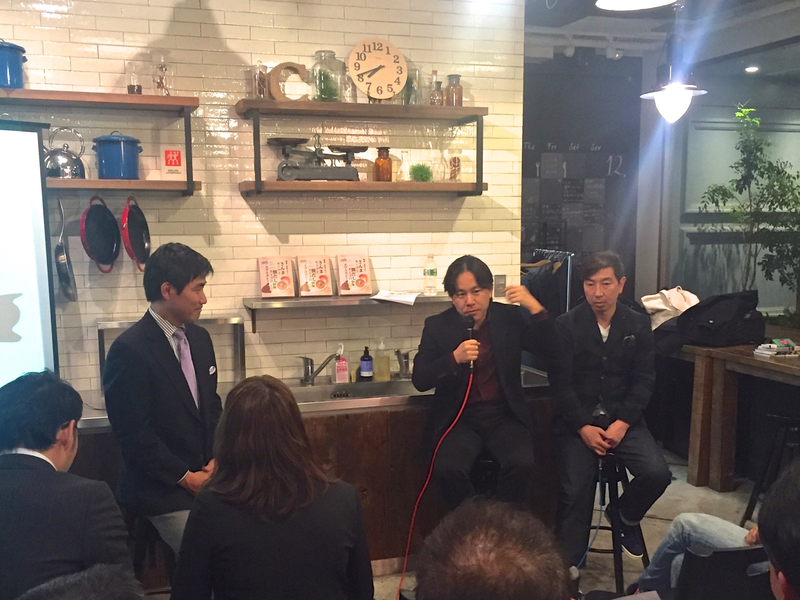 From right: Yoshi, Kenya, and Sugiyama-kun who is a special guest from TBWA\HAKUHODO. 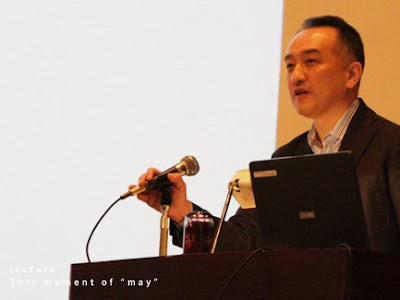 Matsuzaki-san, President of Herman Miller Japan, Akio, one of founding members of Ishinomaki 2.0, and I were back in a talk session as evangelists of innovations happening in Ishinomaki. This session was organized by Next Wisdom Foundation who is looking for and archiving wisdoms for the future. Like the event by Freedom University we participated in last summer, we introduced a variety of future-oriented activities created in post-311 Ishinomaki and the similarity between Portland, Oregon, and Ishinomaki such as historical background, concentration of creativity, and community building through the power of individuals. At the end of the session, curry and rice from Kagikakko, a cafe operated by high school students in Ishinomaki, was served to everyone at the venue. And even while enjoying it, discussions between the audience and us went on. The event report is available here (in Japanese). 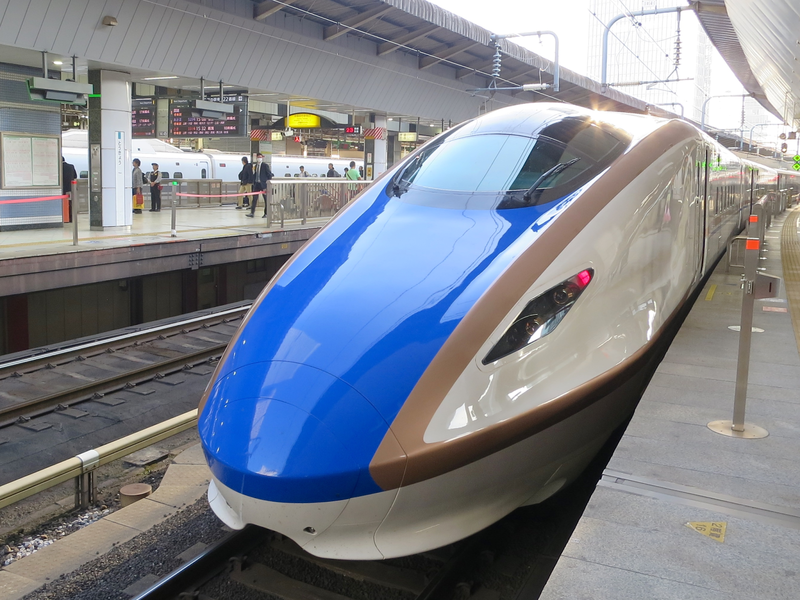 Going back to Tokyo on another E7 Shinkansen train Asama. 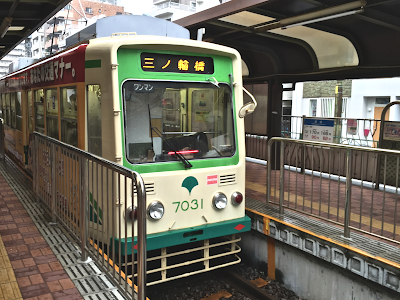 Once the train leaves Karuizawa, it keeps running through long tunnels like a subway all the way to the vicinity of Takasaki. You can't enjoy a view but it's still a very comfortable ride thanks to a car with fully active suspension systems. Nice neighborhood to take a stroll. I wish they could impose a ban on motor vehicles from some streets. Luckily I could get one last room for two nights over the weekend at Kajima No Mori. 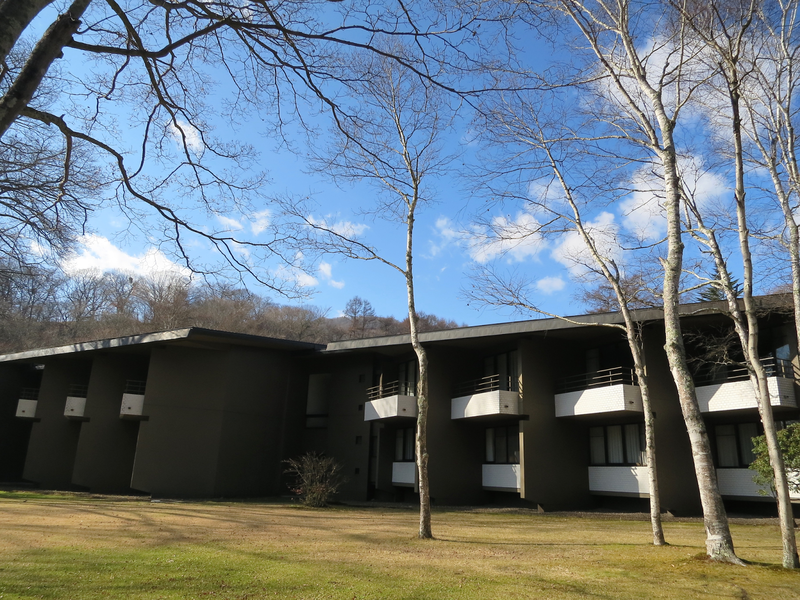 They have nothing fancy, but they offer sophisticated services and setting as a group hotel of Okura Hotels, and you can enjoy quiet time in the beautiful forest of Karuizawa. Smoked rainbow trout they serve at their restaurant is superb. 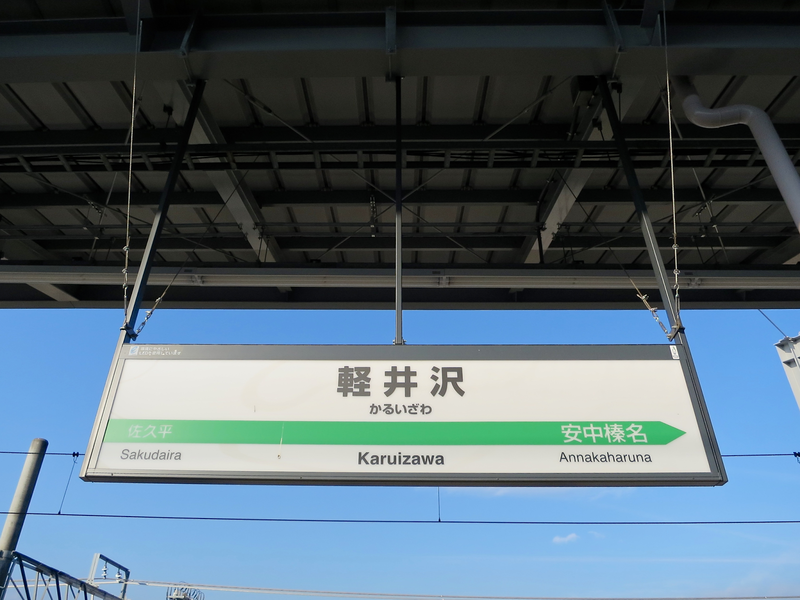 Traveling to Karuizawa. This is my first ride on the newest Shinkansen model E7 developed for the Hokuriku Shinkansen Line which will be inaugurated this spring. The interior and seats are similar to E5 for Hayabusa and Yamabiko, but they are even more sophisticated. Mural decorations inspired by Japanese traditional arts and crafts are adding a nice touch to the vestibule area. 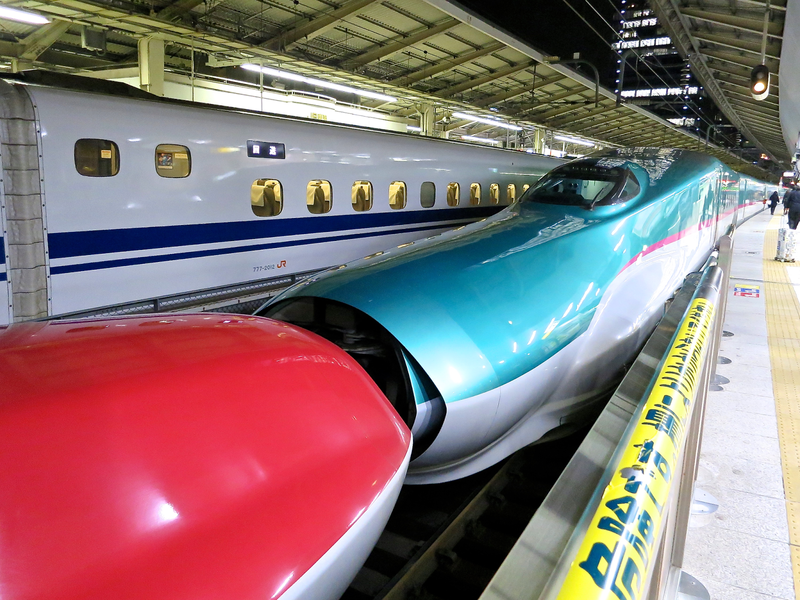 Poor Tokaido Shinkansen. They need cars like this. Returning to Tokyo on a Yamabiko bullet train viewing snow-covered fields of Tohoku. Trying out Taiseien's "Age-cheese" which is commonly known as soul food of Ishinomaki for the first time with Aikata, formerly known as Kotoba Juku, Team. Basically it's a taiyaki snack (a cake cooked in a fish-shaped pan), but it is fried, not baked, like a donut. And it is filled with melted cheese, not with usual red bean paste. Unique and yummy. Once you eat this, you are an Ishinomakian. From top: Hinako, Mitchey, and Yoshi. 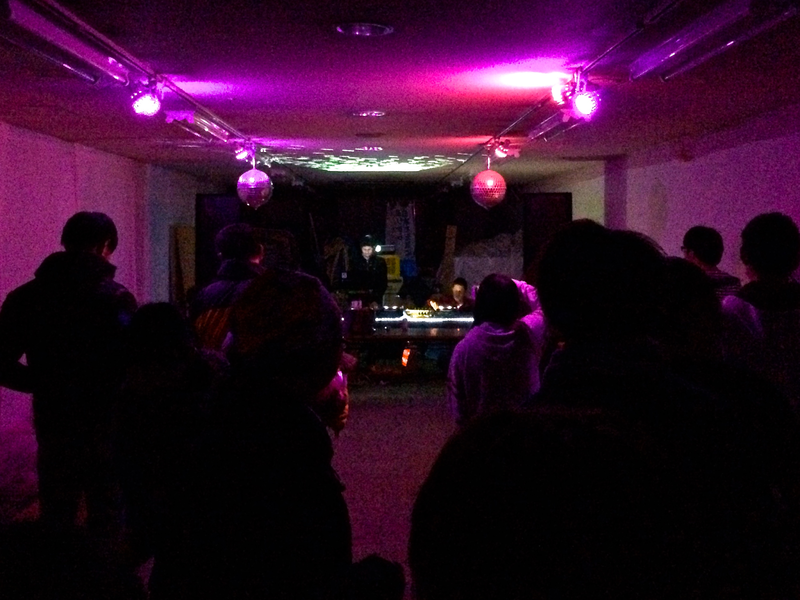 I attended a grand yearend party jointly organized by Kotobuki Dance Hall and Ishinomaki 2.0. 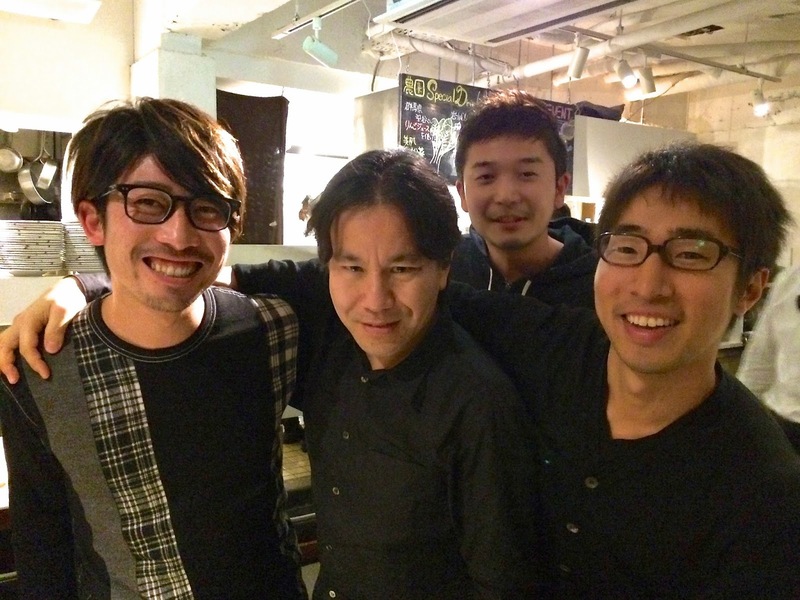 Kotobuki brought Ishinomaki's all-star DJs including Adrian from La Havana, Cuba, to the party. And Akio was selling local sake-steamed oysters under disco balls. IRORI Ishinomaki, the global headquarters of ISHINOMAKI 2.0, became a food-focused venue and welcomed guests from all over the town. Natsumi-san from ISHINOMAKI 2.0 (right) who is in charge of Fukko Bar and Mitchey from ITNAV and Aikata formerly known as Kotoba Juku. He is the Birthday Boy. Jojo from Berkeley, CA, who joined Ishinomaki 2.0 as a creative intern. I first met Jojo two years ago when author Ms. Maha Harada introduced his mother, Jane, to me. 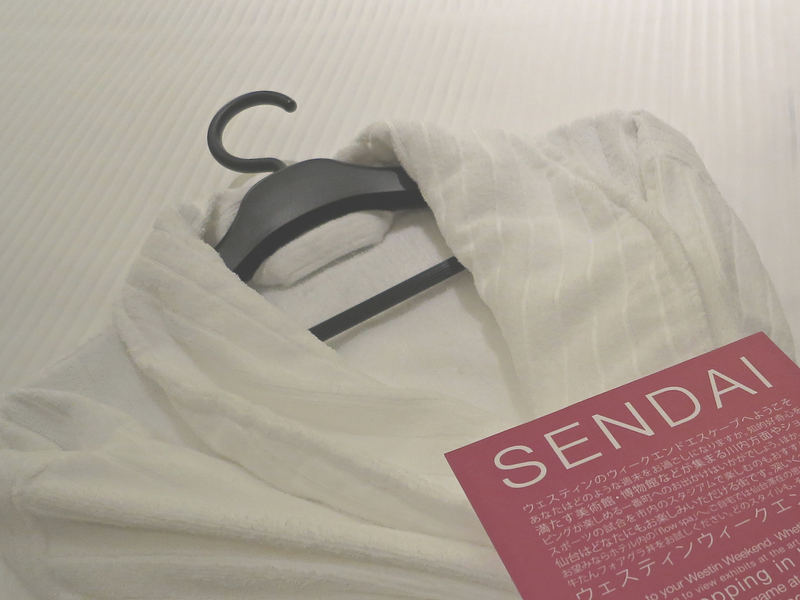 Checked into my regular room in Ishinomaki. 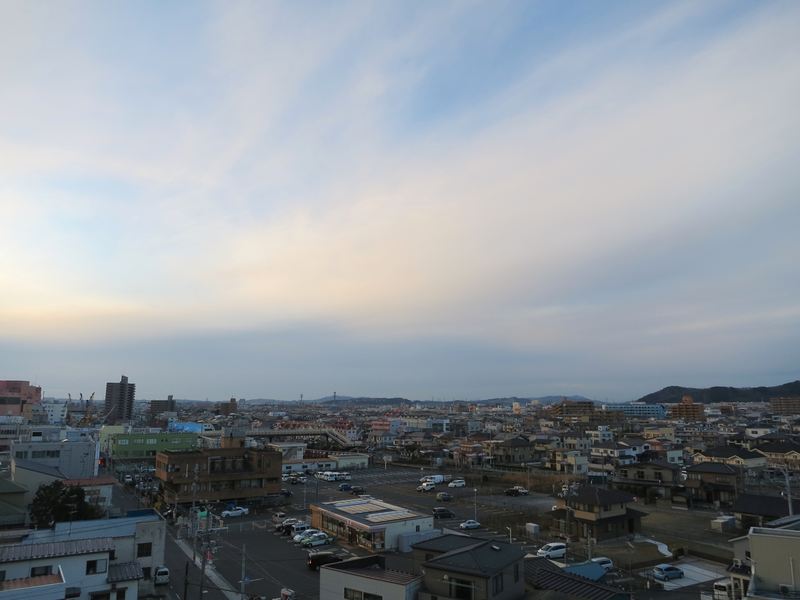 In 2014, I stayed at Ishinomaki Grand more than any other hotels in Japan. 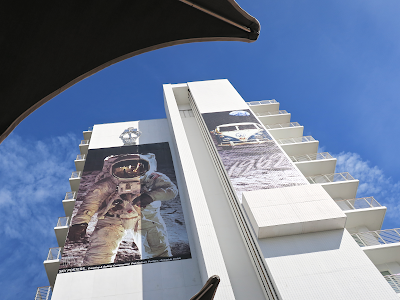 I seriously wish this hotel would be a part of Starwood Hotels. Checked in at midnight and checked out the next morning. Too bad I can't have enough time to enjoy this room. This is my 5th and final trip to Ishinomaki in 2014. After a year-end party, I could get the second to last Shinkansen train of the day to Sendai. They don't offer meal service on this late night train. However, at least I could get a cup of coffee. Heading north. The train arrives at Sendai around midnight.